Plymouth Argyle are now flying high at the top of the English Football League Division Two, well done ‘The Pilgrims’. 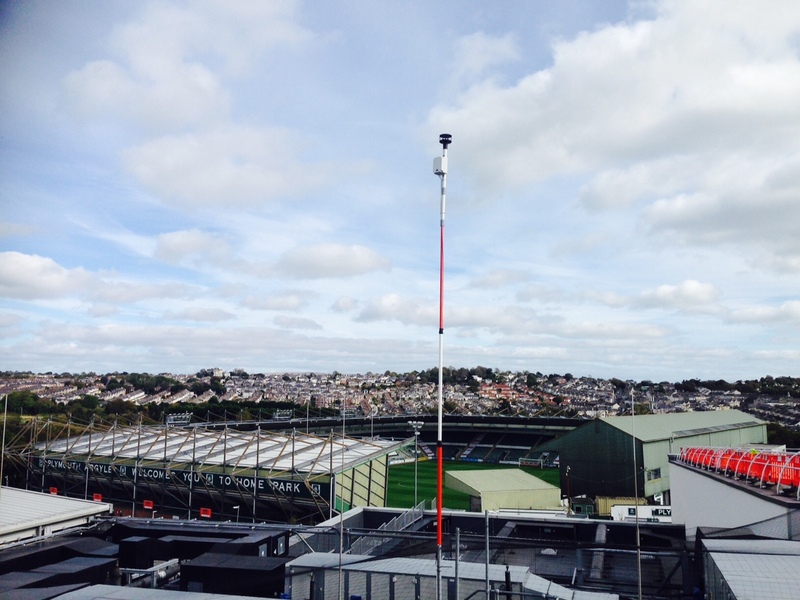 Flying high above the Home Park stadium for a few weeks is one of the GPRS Wind System Loan units from Richard Paul Russell Ltd. The GPRS Wind System needs only battery or mains connection and it works. 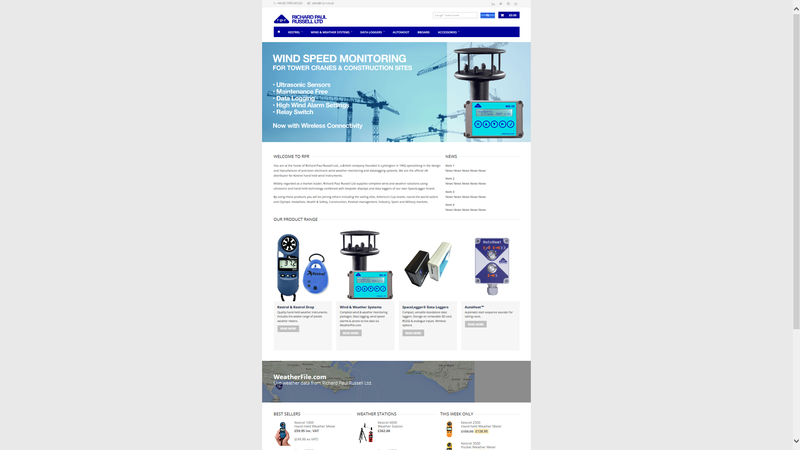 It is based on the FlexiMet Wind 2 system with the addition of internet connection through a mobile network. Weatherfile.com is cloud based data storage for your weather needs. Exciting times at Richard Paul Russell this month. This change is designed to make the R-P-R.co.uk pages more easily readable on smart phones and tablets by being responsive to the multitude of screen sizes now available. 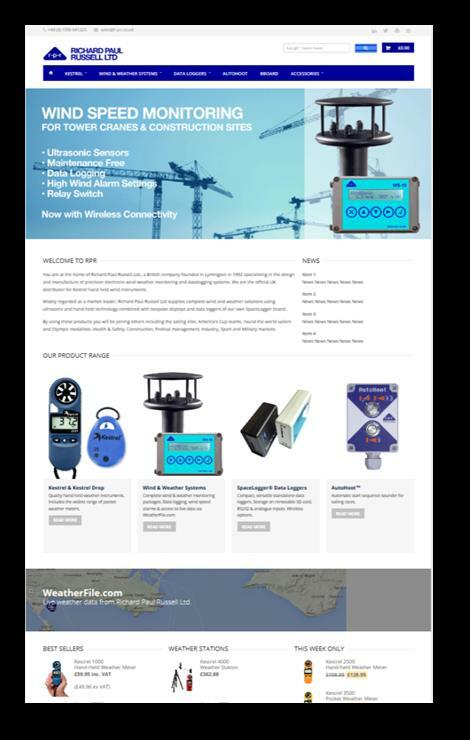 This update follows the roll out of our Live Weather site www.weatherfile.com where you can view weather data streaming Live from R-P-R developed systems using the latest ultrasonic technology in highly accurate, durable, compact and maintenance free wind and weather stations.